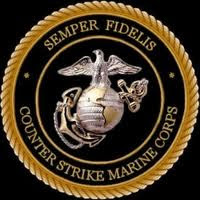 Madre Minutes: Semper Fi....Always Faithful. This saying that is so near and dear to our US Marine Corp, Semper Fi, meaning "Always Faithful" is becoming near and dear to my heart for various reasons......one my sweet son in law is a Marine,secondly I have been diagnosed with breast cancer and thirdly I know my God is always faithful. My prayer for my surgery is much like the USMC, get in, get out and get it done. I will undergo surgery on Wed morning of this next week. My request from you, my friends, is that God would protect my lymph nodes and the rest of my body. I have a wedding to plan and I plan on being there. PERIOD. Taken from the movie Remember the Titans when coaches little girl says, "Not gonna lie, I wanted Hall of Fame real bad".... well not gonna lie, this stinks, not gonna lie I am scared and fear like a bully is trying to rob me of my peace. God is in charge. He will have a glorious story to tell and those of you who know me I love to tell a good story. It will not define me, I will still be me and it is just body parts that have done their job and did it well. I am happy to give them up if it means they save my life. Life giving a second go round in many ways as only God can orchestrate. A second life, a rebirth and a colostrum of blessing that is part of His promise. In Jesus Calling for July 7th: " Trust Me in all your thoughts. I know that some thoughts are unconscious or semiconscious and I do not hold you responsible for those. But you can direct conscious thoughts much more than you may realize. Practice thinking in certain ways----trusting Me, thanking Me----and those thoughts become more natural. Reject negative or sinful thoughts as soon as you become aware of them. Don't try to hide them from Me; confess them and leave them with Me. Go on your way lightheartedly. This method of controlling your thoughts ( taking captive to Christ) will keep your mind in My Presence and your feet on the path of Peace." This song has really been helpful to know that God WILL make me stronger through all of this. Listen to it and enjoy. Maybe you are dealing with a giant wave in your life.....I trust, I believe He will make you stronger. Click on the name to take you to the video on YouTube. This is just what I needed to read, just what I needed to listen to. Holding my hand already, God is evident in every step I am taking. I know and trust God with this challenge set before me as He will walk with me, and gives me only what He knows I can handle. Semper Fi! I appreciate your prayers and will get back with you with a good report as soon as I am able. I saw your post on Where women create. I wanted to reach out to you and let you know you are not alone in your fight. I am a four year survivor. I remember that horrible day like it was yesterday when I got the diagnosis. Surgery, radiation and chemotherapy for me, plus herceptin. Every womans story is different. I joined a support group of about 50 women and together we supported each other. They helped me through the worst time of my life. I'm sorry this has happened to you. They say cancer changes you for the better, well sure you look at every aspect of your life and throw out what is not important anymore. So ya it changes your life. For me I am grateful to be alive...just simple moments like birds chirping in the early morning or the warm sun in my face remind me how far I have come. Moments with friends and family are all the more sweeter. It looks as if today was your surgery day...today is the day you fought to reclaim your life and live...are a breast cancer survivor! I wish you the best, and you will overcome this. Hi Barbara! Saw your post on the O2O FB discussion page so I thought I drop by to see how you're doing. We hope that your surgery went well and that your recovery has been smooth! Due to a high volume of spam comments, I am holding comments for moderation at this time. Thank you for commenting, I'll post your comment as soon as possible!